James Rudall is an experienced Chancery Barrister, who practises nationally to include London, Bristol, Cardiff and Birmingham. James Rudall practiced formerly as a commercial litigation Solicitor from 2001 and as a Solicitor Advocate (All Higher Courts) from 2005, until 2013, when he was called to the Bar at the Honourable Society of Gray’s Inn. Whilst practising as a Solicitor Advocate (All Higher Courts), James Rudall was also head of commercial litigation disputes for a large regional law firm between 2007 and 2013. During 2014, James Rudall joined the self employed Bar and became a full member of Clerksroom Barristers. James Rudall is an experienced advocate, and since 2001 has regularly appeared in the County Court and the High Court. 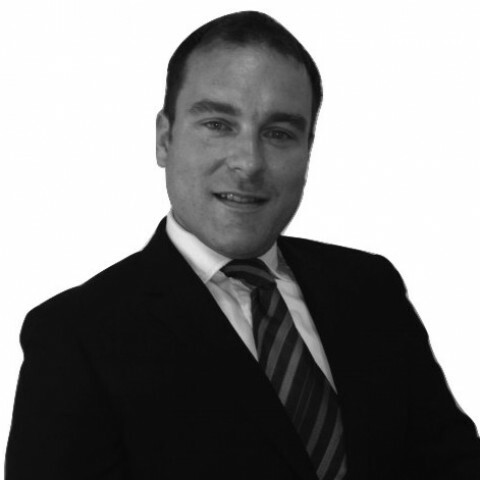 James Rudall also has experience in the HM Lands Tribunal, the Magistrates Court, the Crown Court and the tax tribunal. James Rudall has also undertaken successful written appeals in the Court of Appeal. James Rudall has successfully concluded numerous difficult and technical cases and strives robustly to achieve the best possible outcome for all his clients. This is reflected in the feedback received from solicitors as can be seen under our feedback section. Mr James Rudall has today attended a trial on behalf of the Claimant in this matter and we would like to thank him for his work and congratulate him on an amazing 100% win in the Claimant's favour. This is especially positive considering it was extremely likely that liability would be awarded on a split basis. We understand from our client that Mr Rudall did a brilliant job and that he was very professional and competent. Our interaction with Mr Rudall has been nothing but positive. He is polite and curteous and a pleasure to work with. We shall definitely be instructing him again. Thank you [James Rudall] very much for this morning and reporting back to me with such a detailed note. This is a great result. I really appreciate this. Excellent result and excellent, comprehensive report too. Much appreciated [James Rudall]. I am very impressed by your excellent skeleton. (James Rudall - Appeal arising from a Statutory Demand). Advocacy Training - Gray’s Inn - 2015 Forensic Accounting Course - BPP Law 2016 CPD Courses in Court of Protection, Wills & Probate, Land Law and Landlord and Tenant, Contract Law Update, Part 36 Update, Personal Injury Update - 2016 Providing CPD training to solicitors in Landlord and Tenant disputes, Land disputes generally, Commercial Disputes, and Wills & Probate Disputes. Outside of these key areas of law, James Rudall (2013 call) (2005 Bar Equivalent Rights) is always willing to consider any enquiry requiring the experience or knowledge needed to help you or your client. Please call James direct or the support team on 01823 247 247 if you would like to discuss any aspect of this profile. This case concerned an application for a statutory will brought by the Defendants. The Claimant applied to become a beneficiary under the statutory will on the grounds he was treated as a child of the testator. This was an extremely difficult case for the Claimant owing to the high legal test that he had to meet. James was successful on behalf of the Claimant in obtaining a declaration that the Claimant should become a substantive beneficiary. This was a complex fraud claim. James represented one of the Defendants in bringing a counter claim for fraud against the other Defendant, defending possession proceedings and applying to set aside a legal charge. James was successful in obtaining judgement for fraud and defending the possession proceedings. This concerned a catastophic injury case and dealing with circa five million pounds of damages. James represented the Claimant in an application for a declaration as to the capacity of the Claimant; a declaration to set aside a contract on grounds of lack of capacity; a declaration for the appointment of his instructing solicitor to become a deputy in relation to dealing with long term financial and property matters; a declaration as to the extent of the deputies powers; and an application to remove an already appointed solicitor deputy which was vigorously opposed. James was successful in all applications. This was an application for a declaration of trust pursuant to section 47(1) of the Administration of Estates Act 1925. It was James’ client's case that there was a trust in existence in relation to assets created by the testator prior to death. This was opposed and JamesI was successful in obtaining a declaration of trust. This was a case involving hedge fund fraud and a dispute arising between an investor in hedge funds, James' client, and a broker dealing with the investors funds. This was a very complex hedge fund involving tracing of assets etc. James was successful in obtaining judgement for £950,000.